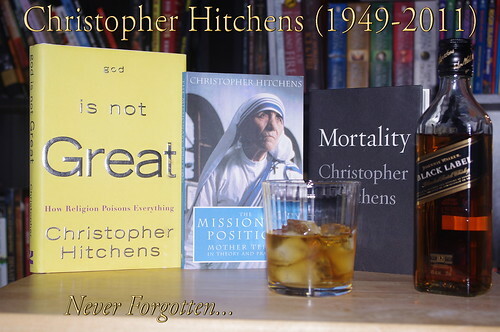 Four days ago was the fourth anniversay of Christopher Hitchens’ passing. Most atheist Facebook groups were filled with links to his speeches and debates or pictures of glasses filled with Johnnie Walker scotch. I decided to offer up my own tribute to this incomparable man. In these days of jaw-dropping religious lunacy we need to remember Hitchens all the more. Nobody can replace him; but he has inspired many to take up the battle.